There can be no other better means of internet browsing from any place at any time than this Samsung Galaxy Tab 3 T211 which is loaded with unique features. With spellbinding android features, touch screen display, primary and secondary camera and dual core processor, this tablet has certainly taken the market by storm. It has a expanded capacity for storage and is incorporated with hardware that provides faster performance while creating a stable base for operations. The set up of this GSM device allows better power management. With a dual core processor of 1.2 GHz, this Samsung Galaxy 3 T211 has an upgraded power management which helps to process large amount of applications and features the latest OS technology in Android. The user interface is designed with Touch Wiz which help in keeping the memory load to minimum together with fluid movements. The 1 GB RAM helps in various multi tasking abilities. 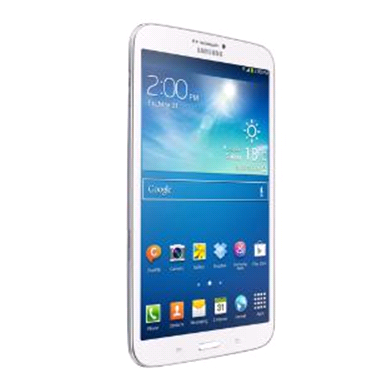 The Samsung Galaxy Tab 3 T211 price in India can be checked out with others in the fray. The internal memory of 8 GB of this tablet can be extended by another 32 GB with a Micro SD Card and particularly helps shooting videos and when using the primary camera of 3 MP at 30 fps. This tab also features a secondary camera of 1.3 MP for answering to video calls and a 7 inch capacitive TFT touch screen with high resolution to support 16 M colours. This tab is WiFi enabled and with a 2.0 USB connectivity helps in transmission of data to external devices. It is operated by a Li-Ion cell of 4000 mAh. Other exclusive features of this Samsung Galaxy Tab 3 T211 include support for voice call and supporting networks of GSM 2G 900, 1800 and UMTS 3G 2100. The sensors forming the platform of this tab are geomagnetic and light sensor, proximity sensor and accelerometer. On a single recharge of the battery you can have a talk time of 20 hrs in 3G and other internet connectivity besides WiFi are Edge and Gprs. This tab allows playback in full HD format and the video formats supported are MPEG 4, WMV, Div/X, H 264 and H 263. Navigation is made through GLONASS and A-GPS while Google Map is supported by this unique tab. Compare the Samsung Tab price and find out the reason-ability behind it. Checking out on the Samsung Galaxy Tab 3 T 211 review, one can easily find out the response that this tab is getting because of the extraordinary Android features. This tab is featured with connectivity to Wi-Fi Direct and Wi-Fi Hot Spot and also support of DLNA. A 3,5 mm jack for headphone is provided along with a USB of 2.0. Additional features include free drop box space of 50m GB, data of 2GB for post paid connection or Vodafone, Hangouts on Google+, Chat ON and Buddy interaction including group chat. The Samsung Galaxy Tab 3 T211 is incorporated with hubs for games, music and for readers, and other Samsung applications which make this tab genuinely a masterpiece. This product delivered by Samsung exhibits the highest technological application in communication and with exclusive features; it is growing popular day by day. The most attractive features of this tab are the primary and secondary camera which takes photos which can be compared to those taken by professional photographers. 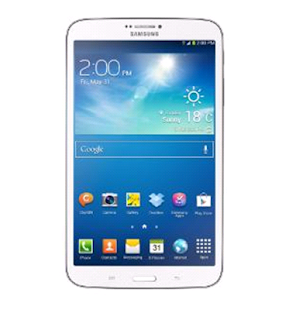 There has never been such a craze for this Samsung Galaxy Tab 3 T211 which are available online. We appreciate comments related to post only. Of course use links but relevant.